Whereas some solar power projects are large-scale, covering entire fields, and other projects cover entire rooftops, solar power can also be used small-scale. Starting small is a good strategy for people who cannot afford big sized solar panels at once. Small solar panels are available in the market; just a few appliances in the household can run on them, but they constitute an affordable way to start using solar power. Small solar panels. Source: farhek.com. 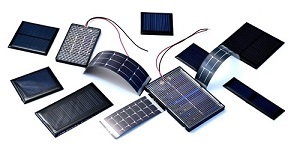 Small solar panels are cost-effective and installation costs can be low. Most small solar panels have an easy mechanisms and can be set up by anyone, whereas the setup of bigger solar panels requires the help of a technician. Therefore, a viable strategy is to start with a few small solar panels and then keep increasing the number according to need. Solar power will lower your energy consumption from the grid, saving you energy and electricity costs. Small-scale solar panels will not cover all your electricity demand, but they can be a great start for you to get used to the solar energy. The advantage of the solar energy is that it is free, once you have installed the panels. Hence it is an advantage in the long run. In remote areas, electricity supply may be a problem. Here, small solar panels can be used as a backup for periods when the grid is down. Essential equipment that do not require much electricity, like light bulbs and small charging sockets, can keep on running on electricity from the solar panels. 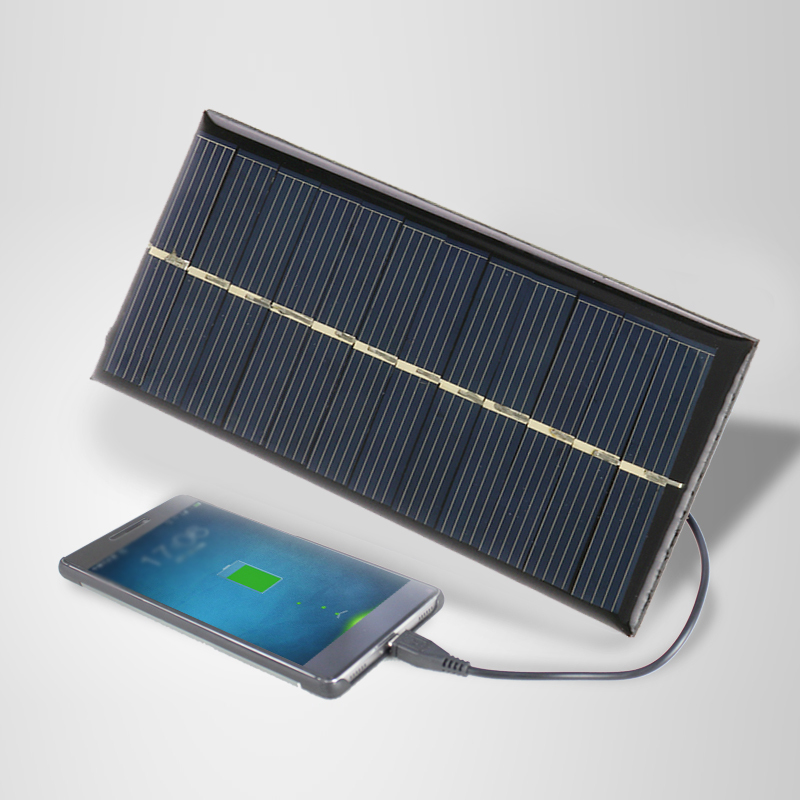 As small solar panels are cost-effective now, people in the remote areas will not be reluctant to buy and use them for their daily requirements. For people living in an area with regular power cuts, small solar panels may be an efficient solution to deal with them. The advantage of small scale solar panels is that the household will be able to absorb all the electricity generated by them, so that people will use them to their maximum advantage. Smartphone with small solar panel. Source: ae01.alicd.com. In stand-alone (or off-grid) solar panel systems, any excess electricity produced by the solar panels will be stored in batteries. Your electrical appliances then extract the electricity from these batteries to function, also during the night. But batteries are expensive and also require installation of control equipment. Nevertheless, if your electricity requirement involves running equipment like an air conditioner, a refrigerator and a TV, this setup may be required. This would also involve installing larger solar panels. On the other hand, in grid-connected (or on-grid) solar panel systems, any surplus electricity produced by the solar panels, in all nearby households, will be stored to a grid as credit. The grid will supply electricity to households that have not yet installed solar panels, or not enough for their electricity consumption. Installation of the control equipment is simpler, and as consumers share the cost of the grid, overall cost may be lower. Moreover, on the community level, this scheme works better because there will be no shortage of electricity in any of the households. In choosing the type of solar panel system, it is critical to take your location into consideration. If there are solar grids present in your area, it is advisable to install an on-grid system. They are less expensive and beneficial for the community as a whole. Still, if the community is not connected to an external grid, it may have to construct a system with battery storage in order to prevent electricity shortages at night. But if funds are not a bar, then you may want to install an off-grid system for your own household, making you self-sufficient for all your electricity requirements. In a nutshell, while it’s crucial for us to start considering using solar power as a regular source of electricity, it is equally important to choose the kind of system that is right for you. Small solar panels are the first step in the direction of utilizing sustainable energy and doing our bit for the environment. Mr. Sunil Rathi is director sales & marketing at WAAREE Energies Ltd. He is an assiduous, inquisitively power electronics engineer with an exceptional Sales and Marketing knowledge backed by a degree of MBA. He has a robust record of expertise acquired over 24 years in Solar Energy and Power Electronics Industry. His proven strategic vision facilitated in firmly establishment of the brand and himself as a stalwart in the solar industry.